If you’re not sure about whether or not to let your relationship go, read our guide 6 Signs You Shouldn’t End Your Relationship to learn if this really the right time. Once you’ve decided to part ways though, here are 5 things you can learn while you’re letting go of a relationship. 1. When you let a relationship go you can learn gratitude for the love that you have experienced. It can be the most difficult lesson to find gratitude in the worst of experiences. Expressing gratitude is a good way to heal your heart. By letting go of the pain, you are able to embrace the healing energy of forgiveness. Even if the love is long gone now, you can look back at the times that your partner expressed their love for you with happy memories. Love is expressed in many ways; physical, conversational, and actions being just a few of these. Tell yourself about a time that your partner showed healthy, happy love to you and bask in the warm emotions that the memory creates. 2. When you let a relationship go you can learn what role you played in the success or downfall of the partnership. Did your own actions lead to the end of the relationship or do you really believe that it was all your partner’s fault? Don’t beat yourself up, but this is a good time to be honest about what actions you could take in a future relationship to help make things work. 3. When you let a relationship go you can learn about yourself. When you end a relationship, you leave with more information about what you like and don’t like in a partner than you had before. Your preferences for your partner’s actions, physical appearance, sexual style and tastes will determine the future choices that you make. In our article 9 Signs It’s Time for You to Let Go of a Relationship, we discussed how differences between the two of you can become so extreme that you feel the need to let go of your partner because they no longer serve your best interests. When one of you has grown and the other has not or you’ve grown in different ways that move you away from each other, it’s time to either change toward your partner or let go. 4. When you let a relationship go you can learn how to exit gracefully. Even if the ending of your relationship was like the explosion scene of an action movie, you can learn from that for next time. How would you prefer to have ended things? The end doesn’t have to be painful. Try a different perspective and look at it as another opportunity for growth. 5. When you let a relationship go you can learn to let go of negative emotional baggage. A breakup is an important life event in the sense that it is usually an event that you will vividly remember for a long period of time. 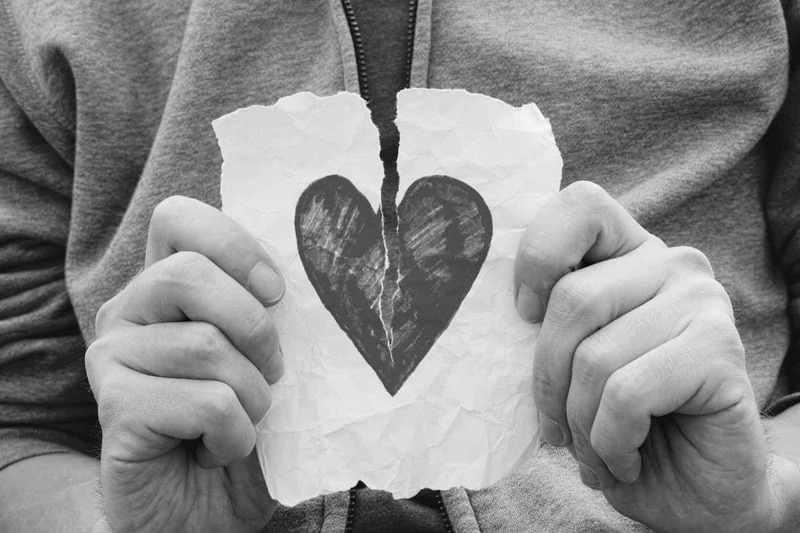 Emotional pain from a bad relationship can leave a scar on your heart. Learning to grieve the hurt and then move on to a hopeful outlook is a skill that people with a positive outlook have already mastered. By looking for the positives, people were able to have less symptoms of depression than those who did not keep a positive mindset. Depression after a breakup can be as simple as being bothered by things that don’t normally bother you, like seeing a happy couple kissing. In another study of emotional distress after a breakup, researchers developed a scale to measure positive and negative emotions associated with thoughts about the breakup. The scale asked study participants who had been through a recent breakup about how often they thought about the relationship, depression, loss of self-concept, rediscovery of self-concept, negative emotional adjustment, and positive emotional adjustments. Researchers found that emotional recovery after a breakup was helped by thoughts that had a positive emotion associated with them, for example being happy, satisfied or relieved. This means that positive thinkers were less likely to be preoccupied with the relationship, less likely to have anxiety abut being single and less likely to have regrets.